Windera technology, Richard W. Burt. The Windera power generation system is a direct-drive, variable-speed hydraulic drive train and control system for the global renewable energy market with an emphasis on utility-scale wind production. The system is designed to solve a major problem in the domestic wind industry. That problem is that a majority of the turbines installed in the United States in the 1980s and early 1990s are small to medium- sized wind turbines (65 kilowatt to 250 kilowatt) that now require extensive repairs or replacement. Many of them have been shut down for lack of parts and repairs. 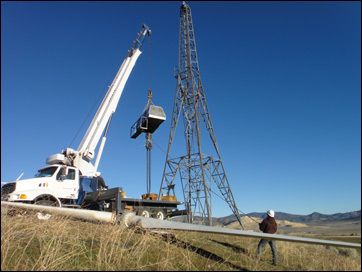 The new Windera system can readily replace these non-functioning systems and enhance the operation and efficiency of the wind tower operation. Essentially, the Windera system will allow wind farm owners to “Repower” their aging, non-producing turbines. Windera’s highly innovative technology represents an evolutionary step in system design and performance that enables operators of aging wind farms to cost-effectively convert their existing fixed-speed, gear driven generators to a highly efficient, direct-drive, variable-speed hydraulic drive train system. The Windera system delivers ultra-stable voltage and frequency to the existing power grid without the need for power electronics and maintenance-prone gearboxes. 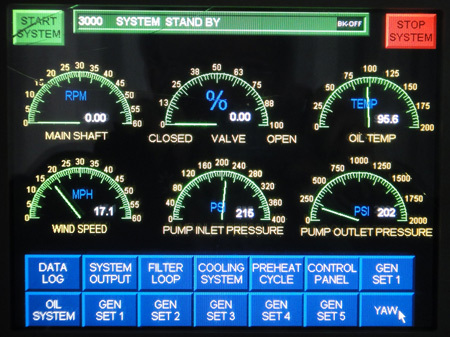 Power conditioning and interconnection to the electric grid are managed by Windera’s advanced control and monitoringn system. More importantly, Windera’s highly efficient solution enables wind farm owners to produce as much as 80% more electricity because the Windera system operates effectively across a broader range of wind speeds (“wind envelope”) as compared to conventional wind turbines of the same class. Introduction of a down tower maintenance concept which allows for 90% of the system hardware to be located on the ground level. Larger wind speed envelope for greater overall power production. Lower overall yearly maintenance cost. Ability to repair system components while the system is in full operation. 24/7 system monitoring with remote startup/shut down. A designed Mean Time Between Failure (MTBF) of 15 years.